Yarmouth Veterinary Center welcomes you! Welcome to Yarmouth Veterinary Center. We are a full service animal hospital providing comprehensive healthcare services to pets in Yarmouth and the surrounding areas. Our veterinarians offer a wide variety of medical, surgical and dental services in our veterinary clinic. We provide complete care for our patients. Our general practice veterinary hospital is well equipped with advanced equipment and technologies to provide the highest standard of care for your pet. Our facility has the equipment and we have the skills to provide comprehensive in-house laboratory testing, digital x-ray, digital dental x-ray, ultrasound exams, echocardiography, endoscopy, major and minor surgeries, dentistry, in-house and online pharmacy services. We do housecalls from the greater Portland to the greater Brunswick areas. We also do pet boarding. Click on our Services tab to see a comprehensive list of the many services we provide. 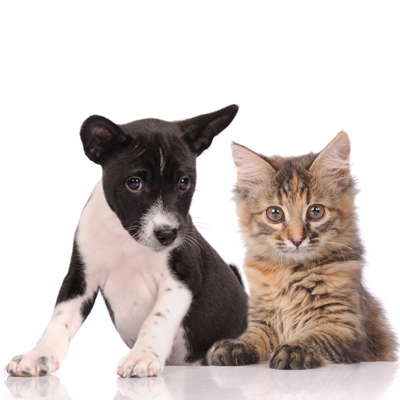 All of our veterinary services are available for cats and dogs. We also provide complete veterinary care for birds - including pet birds and backyard poultry - reptiles, rabbits, ferrets, hedgehogs, rodents and other small mammals, and fish. A special focus of Yarmouth Veterinary Center is veterinary dentistry. Oral health problems are the most common health problems of pets, so they are our primary concern. We have multiple dental suites outfitted with the best equipment and supplies. Our veterinarians provide excellent pet dental care, from comprehensive oral exams and dental cleanings to simple and complex dental procedures and oral surgery. At Yarmouth Veterinary Center we are committed to providing quality care at every stage of your pet's life. From routine preventive care for your pets to early detection and treatment of a wide range of conditions and diseases and surgical care, we have the expertise to provide the care your pet needs at every stage of life. Please browse our website to learn more about our animal clinic and the veterinary services we provide for companion animals in Yarmouth and the surrounding areas. Please call our office today at (207)846-6515 for all your pet health care needs or click here to contact us or to set up an appointment.